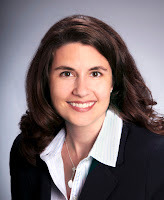 MIAMI (March 27, 2012) – Attorney Stephanie Reed Traband has joined the law firm of Levine Kellogg Lehman Schneider + Grossman LLP (LKLSG) as partner, announced Jeff Schneider, managing partner of the Miami-based commercial law firm. Traband focuses her practice on business and commercial litigation and has more than a decade of experience in the areas of bankruptcy, creditor’s rights, real estate, and corporate litigation. She also practices international law and has significant appellate experience. She currently serves on the management committee of the International Association of Young Lawyers (AIJA) in which she is a frequent lecturer on various litigation-related topics. Prior to joining LKLSG, Traband served as a partner at Jones Walker in Miami. She received her juris doctor degree from Tulane University School of Law, where she served as a student attorney for the Juvenile Law Clinic and was editorial assistant for the Yearbook of International Environmental Law. She received her bachelor of arts degree, with honors and distinction, from the University of Tennessee. She is currently a member of the American Bar Association, Dade County Bar Association, and The Florida Bar.